Dry skin feels tight, especially after cleansing. It has a tendency towards fine wrinkles, flaking and red patches. As you mature your skin becomes drier. There are two main causes of dry skin: a weakness in the keratin (the outer structural layer of the skin) and a breakdown in the lipids. Keratin needs water to keep it healthy. Lipids work as the mortar that bonds skin cells and helps to form a tight, protective barrier. 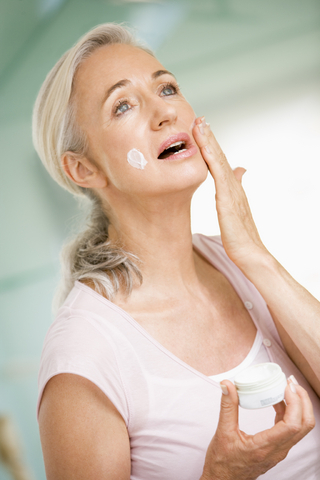 By using the right moisturizers, you can trap water in the skin and even repair the damaged lipid barrier.